Graduate retention is a serious aspect of any decent policy for regeneration. But the emphasis on new / young graduates alone is strange, when there are always also other highly qualified and more experienced people who might offer at least as much in developing economies. A recurring theme in the regeneration of cities and regions is the emphasis on retention of graduates, is generally a task allocated to the regional universities which have educated them. But is the talent hunt wide enough? The flight of bright graduates from regional to capital cities is a well-marked issue for most regional economies. 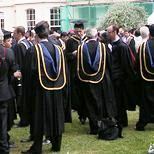 This is an entirely reasonable focus, given the cost of producing graduates and the potential which they have in terms of economic value: there is a whole sector of most regional knowledge economies which is dedicated simply to training and retaining graduates in the hope that they will enhance the economic performance of that region. There are also now schemes which train ‘women returners’, women who have taken time out to raise a family or who have only later in their working lives decided to develop their formal skills. Generally these schemes give good value for the ‘returners’ and their future employers, at least in terms of providing competent middle-level practitioners and professionals; and certainly they can make a really significant difference to the lives of the women who undertake the training. But there is another group of people with high skills who are often simply not geared into their local and regional economy in any meaningful way. These are often older, highly qualified and experienced graduate women who are no longer working (but are usually not registered as unemployed), and who may remain living in an area because they have family or other personal commitments there. These women generally do not need any further training (except in the same way that other practising professionals might need it) and they often undertake a good deal of voluntary and unpaid work in their communities. Little of this work however is given any formal economic value, and even less of it is focused strategically on the requirements of their economic location. In an economy with a significant proportion of women leaders and decision-makers the ‘invisible’ older female graduate might be identified as a person with serious economic potential, someone for whom every effort should be made to find or create suitable high-level employment or enterprise opportunities commensurate with her qualifications and experience. Has anyone tried to estimate the numbers of ‘non-economically-productive’ highly qualified older women in a given regional or local economy undergoing regeneration? Does anyone know what these women currently contribute informally to their economies, or what they could contribute formally in the right contexts?